Home » News » Do You Know Aviation Cable Used In Avionics? Do You Know Aviation Cable Used In Avionics? The Aviation Cable used in avionics consists of conductor, insulation, shielding and sheath, and belongs to the field of cable technology. A polyimide insulating layer is disposed on the outer surface of the conductor , a copper wire shielding layer 3 is wrapped on the outer surface of the insulating layer , and a low-smoke halogen-free flame-retardant material sheath is extruded around the outer periphery of the copper wire shielding layer The utility model has the advantages of reasonable and simple structure, easy manufacture and low cost. 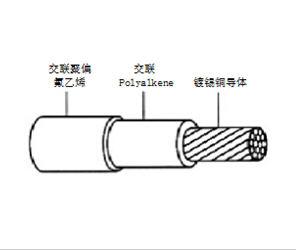 The cable has excellent radiation resistance, anti-interference performance and high flame retardant properties. Cables for the construction of excellent airport facilities can improve the safety of the airport, and have good application value and broad market prospects. As a leader of Aviation Cable Supplier, Sanew provide low price and good price cable, please contact us to know more.